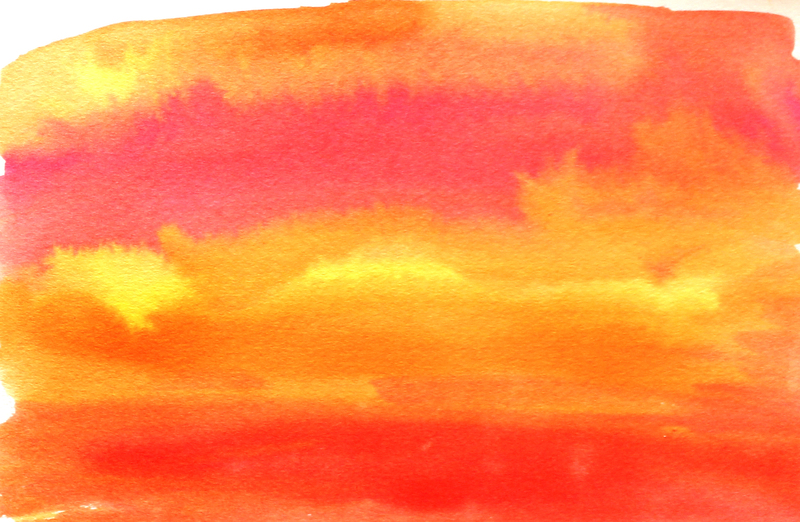 Watercolor clouds are the perfect open-ended project for our kids of all ages. No two skies ever appear the same so our children are able to explore and express how they want their sky which is the goal of a good art project, plenty of play and exploration, finding ourselves in our art and empowering our kids to do the same! 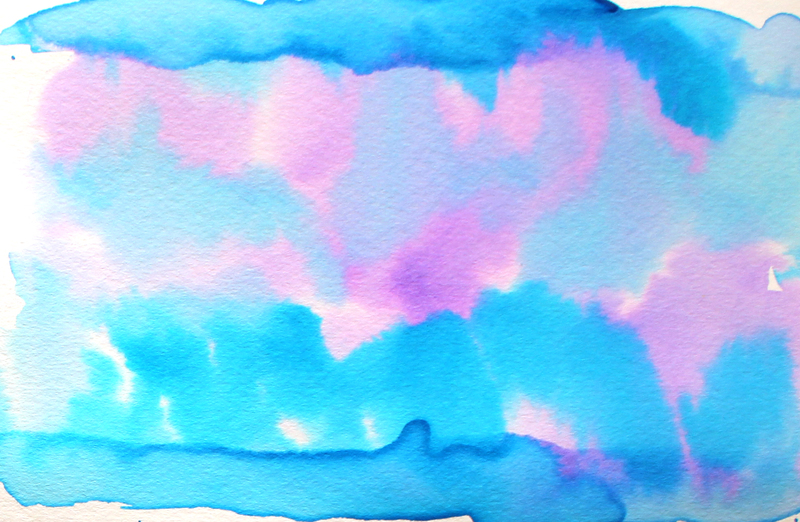 This week on my youtube channel I share a watercolor tutorial, watercolor clouds for kids lesson. My girls love to practice making fluffy clouds, sunsets and storm clouds. All of their paintings tell a story that they specifically created! 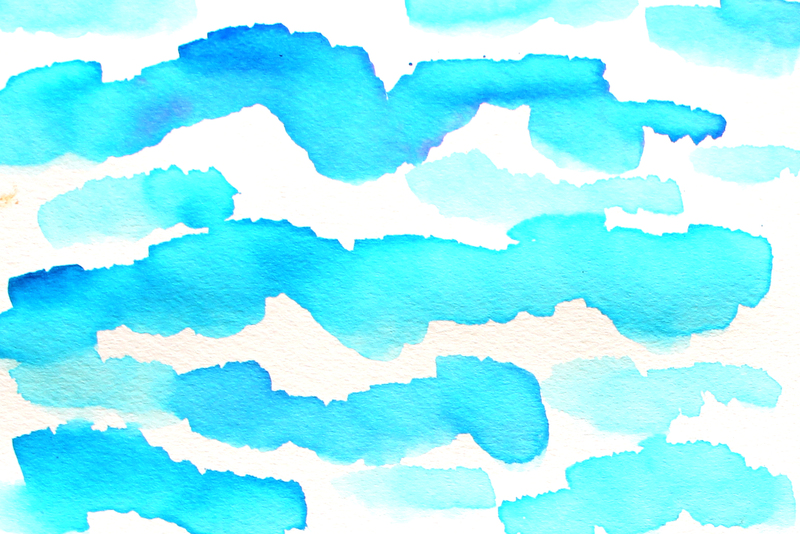 Follow along with us this week as we explore three different watercolor cloud ideas, white fluffy clouds, sunsets and storm clouds! For a list of my favorite supplies check out my watercolor supplies post and you can set up for your child before the lesson! This watercolor tutorial will build on some of the techniques we learned in the Watercolor Blends post a few weeks ago. We will use blending to add color to our skies and watch the clouds appear! If you haven’t had a chance to check out that lesson don’t worry, you can still start this lesson all of the instruction and supplies you will need will be discussed in this lesson. If you finish today’s lesson and want more, be sure to subscribe to Amy’s Art Table and be notified each week on the new lesson coming out! You can do this by choosing the “mail” icon to the right under the “follow” tab! All of my lessons will be posted on the blog under the “lessons” tab and you can find the collection of videos on my youtube channel! 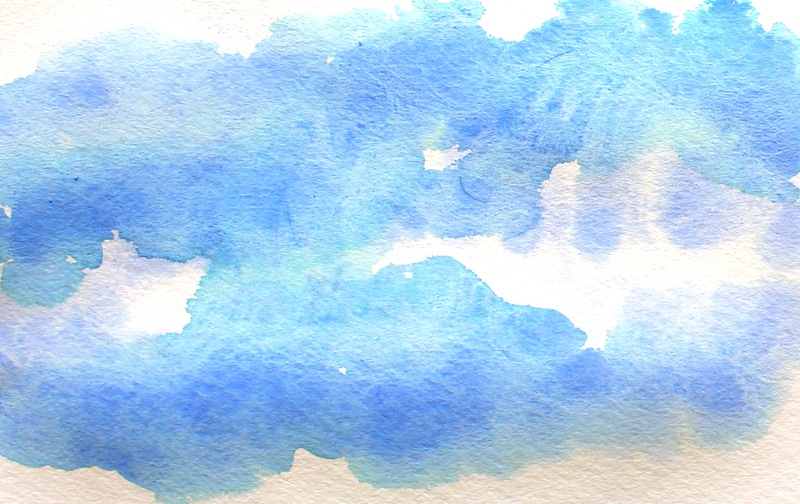 I hope you and your toddlers, kids or teenagers have a fun time with this lesson on watercolor clouds this afternoon! Let me know if you have any feedback or new art lesson suggestions, I am always open to your ideas and thoughts, I want to make my content relevant to you!